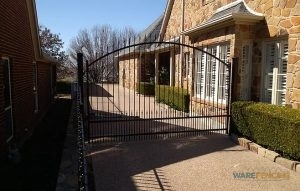 Do you need a reliable fence company in DeSoto, TX? We here at Ware Fencing are specialists in everything fencing, such as fence repair, fence installation, and fence replacement. With our services, we can work together to increase the property value of your home or business, in addition to the curb appeal and security! We are fence experts, and no matter what your objective is with your fence, our team can help you get it. You can contact our team at 817-948-4503 to discover more, and talk with one of our professionals about your fencing options. DeSoto counts on us as a local fencing company for affordable as well as reliable fence repair service. Unlike competing fence companies, our team is trained in many kinds of fences, including farm or ranch fences. We offer a selection of residential fence options such as bamboo, aluminum, and iron, also. Our cedar fencing is among the most popular, as a rustic suburban look, and our aluminum fences are a great choice if you’re looking for an affordable yet functional safety fence. If you are searching for additional security for your house, we do offer special security fencing, in addition to the traditionally secure wrought iron. Our team is so skilled and experienced, we can even supply you with custom fence designs, created to your precise specifications. 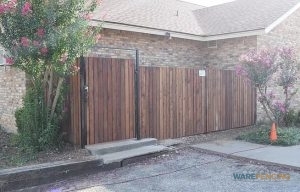 If you’re searching for a fence company in DeSoto, TX that you can rely on, look no further. Ware Fencing is committed to supplying top of the line customer satisfaction, along with using top quality materials that are built to last. Our team works diligently to supply every customer with the precise outcome they came to us for, and we look forward to serving you too. You can reach our team of professionals at 817-948-4503 today to ask for a quote and schedule as appointment! You can count on our crew to fulfill your fencing requirements, no matter what they are.